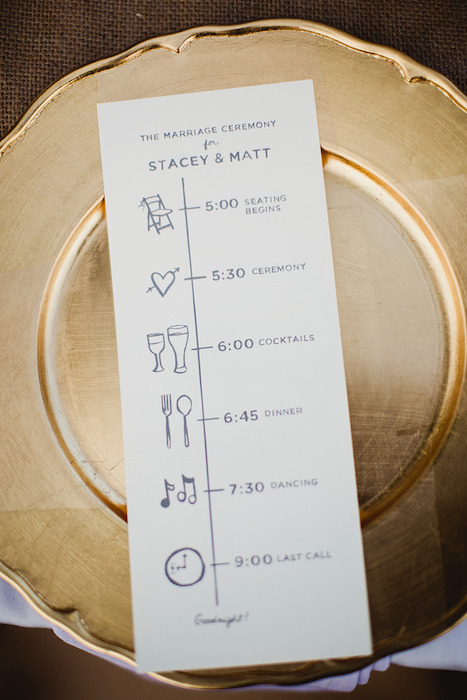 You can inject some of your personality as a couple into your programs, as well as add to the style of your wedding. This is a great way to share some romantic anecdotes or to completely reinvent the look of a classic program. 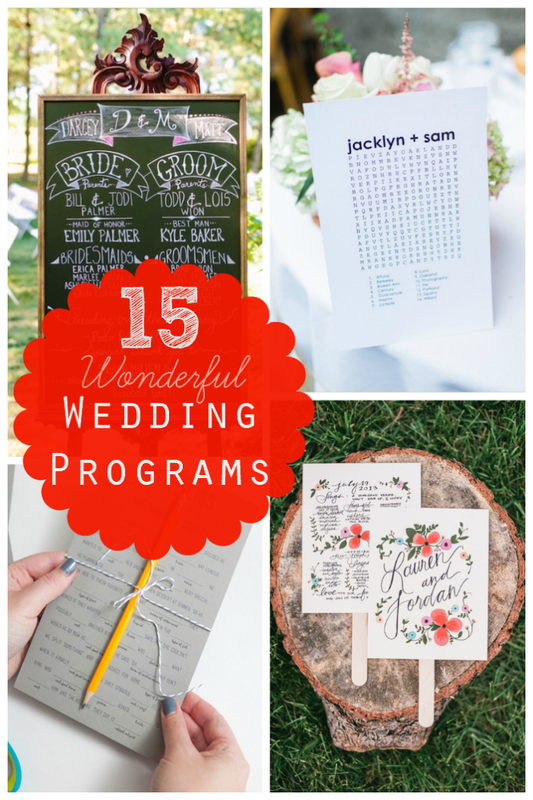 So go beyond the black text on white card formula and get creative with 15 of our fave ideas for wedding programs. 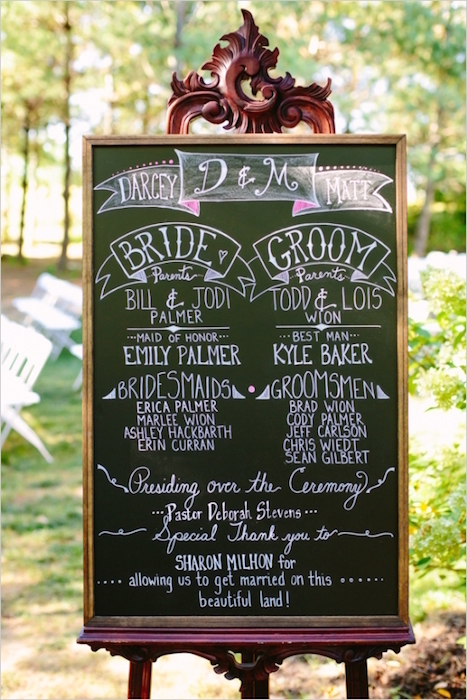 Save on printing costs by writing out your program on a large chalkboard. A frame and easel will make sure that your guests can spot it during the day. Coral and blue are a fab color pairing. 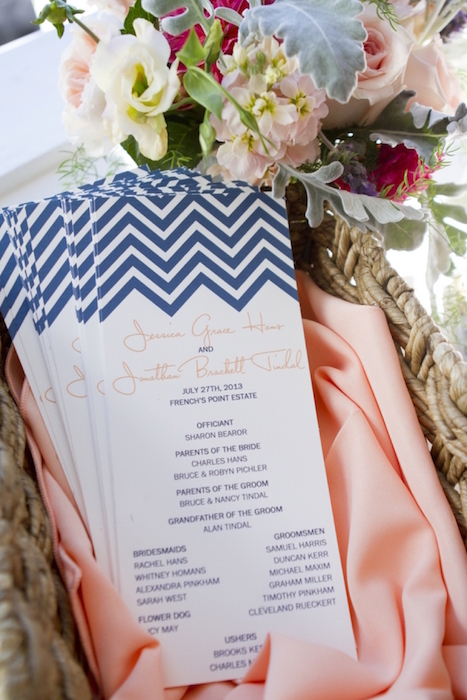 The chevron design adds some interest to the design of the program and works well when matched with the invitation. 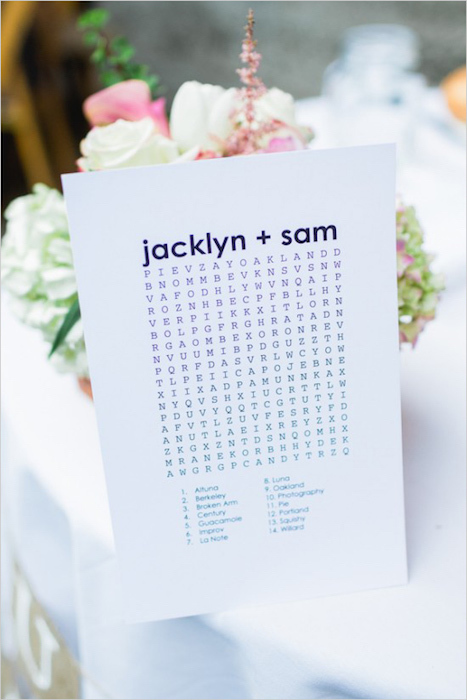 Keep your guests occupied by having your program on one side and a fun crossword puzzle on the other. If you want your program to be short, sweet and simple then this is a great idea. You don’t have to sacrifice on style either, as this floral design proves. 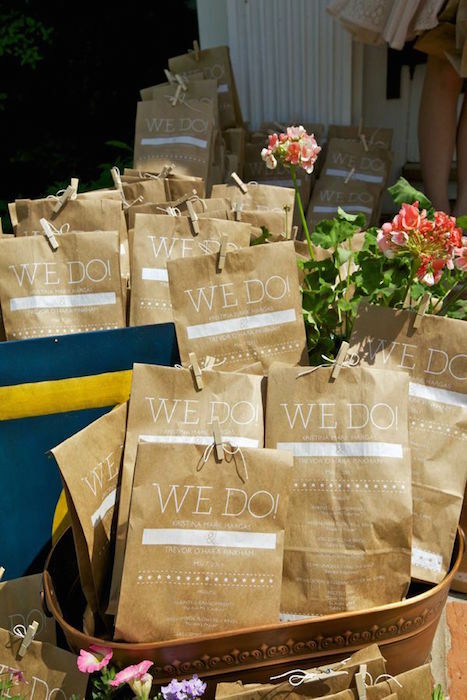 Do some double duty by having favor or welcome bags printed with your program on the outside. 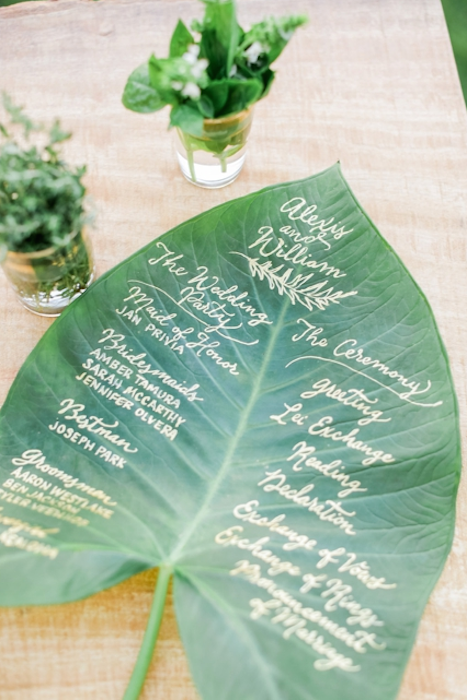 This stunning program is written on a giant leaf and will look unbelievable in a destination wedding. Or any wedding actually. 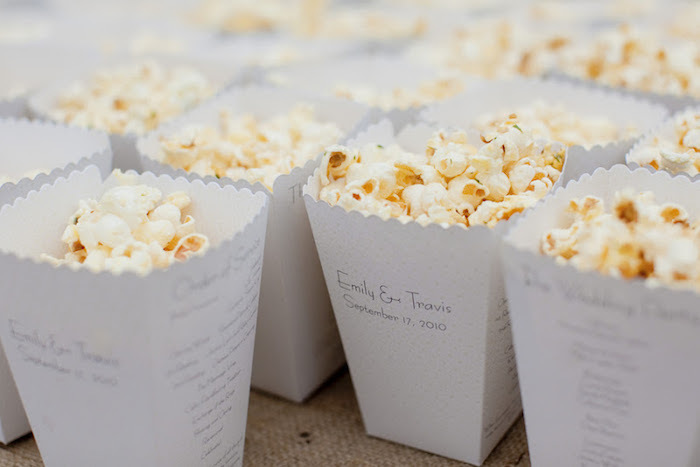 If your wedding falls in the height of wedding season, your guests will really appreciate some unexpected ideas. 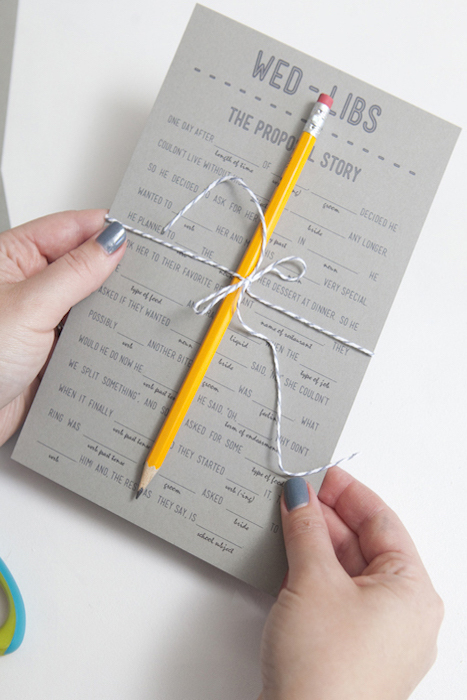 A mad libs proposal story will be a fun addition to your program. Who needs a small announcement in a newspaper when you can have your own printed? 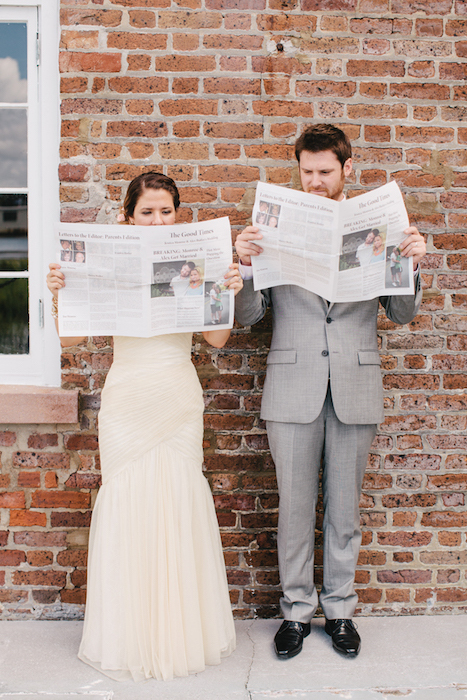 By creating your own newspaper programs you will charm your guests and give them a lovely reminder of the day too. 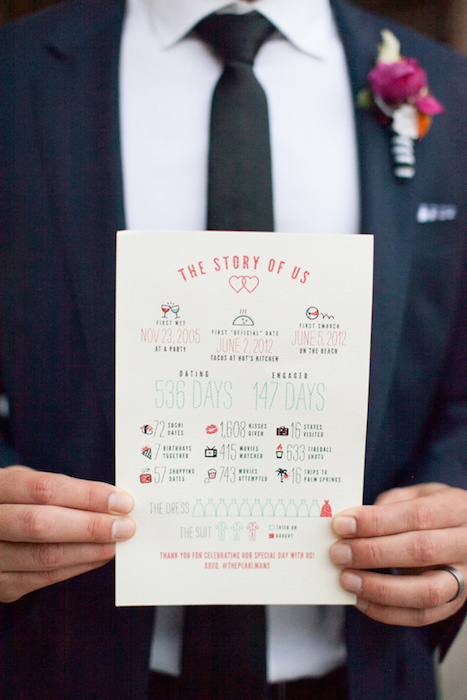 This graphic program has a personal touch in the form of some numerical dating stats. 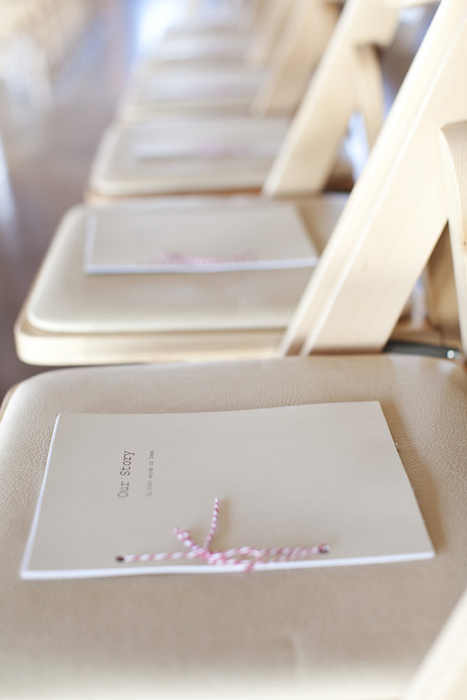 It’s time to share your manuscript, with a program that incorporates your love story. Perfect for an outdoor wedding. 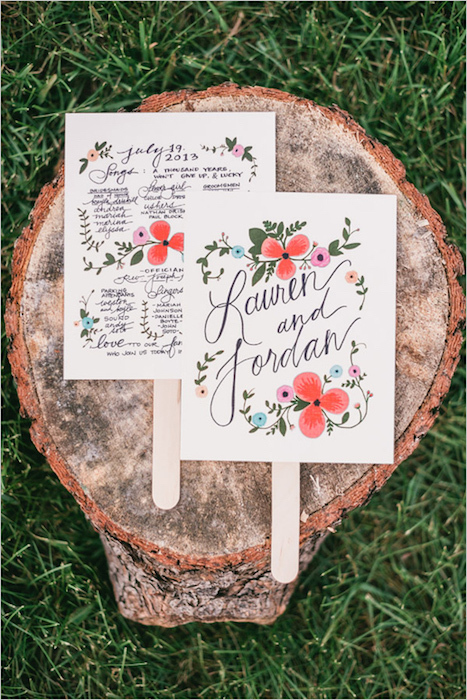 This colorful fan program will also keep your guests cool. 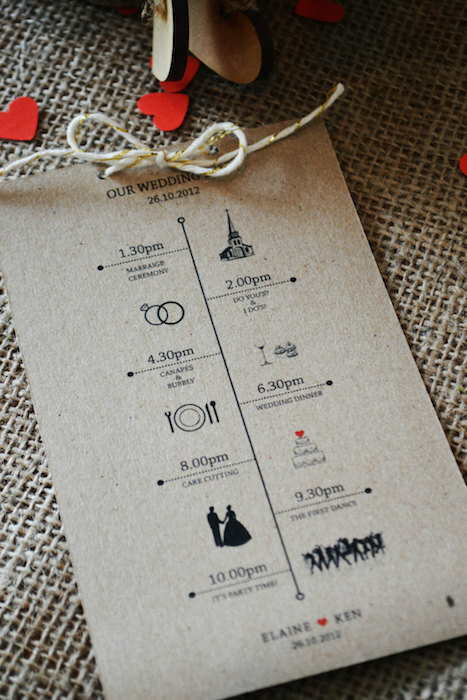 This rustic program is a straightforward but stylish glance at the day. 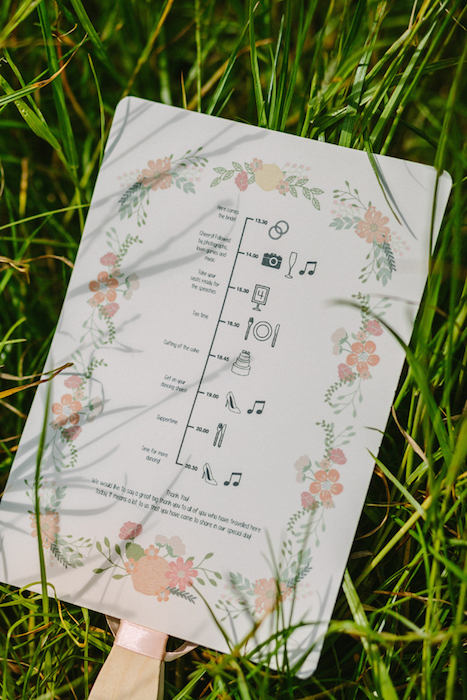 Using illustrations helps to add something different to the timeline format. Popcorn and a program in one! Genius. Giving your guests something to munch on and read is a wonderful idea, especially as they wait for things to get started. 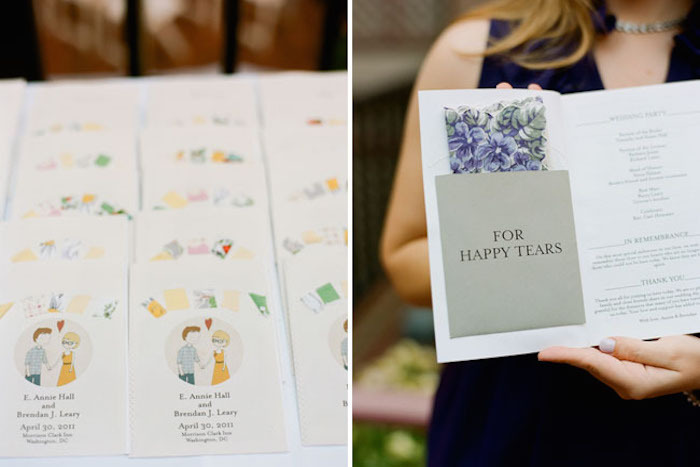 A pocket in the program for a vintage hanky or tissue is a truly inspired idea.